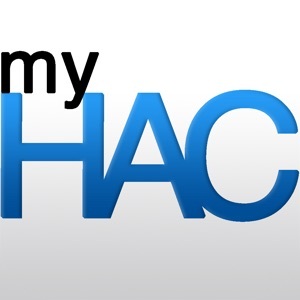 myHAC allows students and parents full school-year access to their Home Access Center (HAC) in a more mobile friendly, iOS environment. Users can log in and only sign in once. 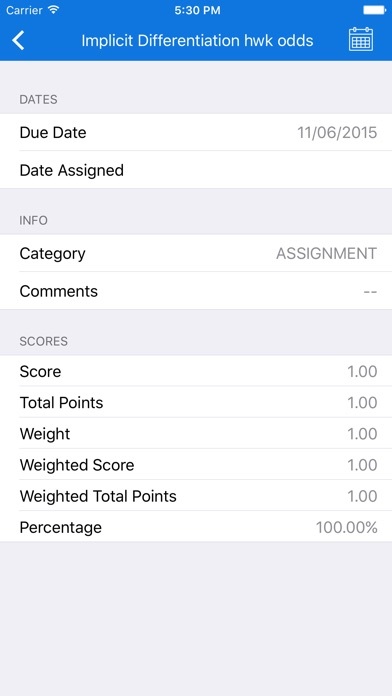 Just like on the web version, you can view your grades and assignments, plus several new features exclusive to the app. 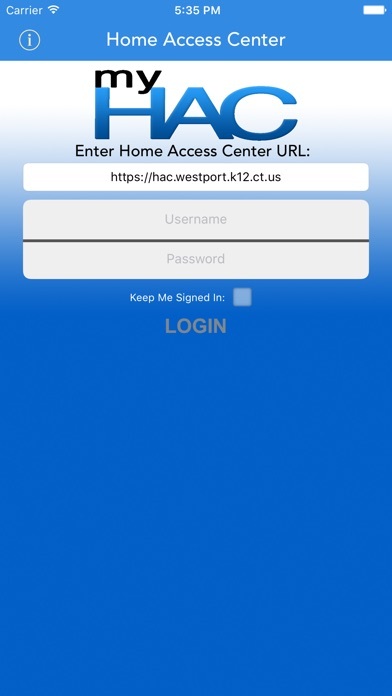 Note: myHAC works only with schools that use Home Access Center 3.0 and above. 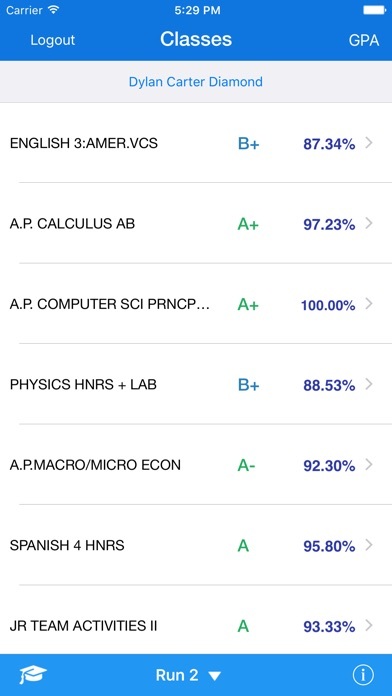 Features: -View classes and average for current school year -View assignments and classwork for current school year -View details for each assignment -Receive alerts for new assignments (students only) -View current academic and overall GPA -One click access to report cards and transcripts -Remember me feature - only have to sign in once -View grades from past runs as well as all runs combined -View profile complete with student demographics Parents Only: -Access grades for each of your currently enrolled students -Navigate between students with a picker and view specific classwork assignments Disclaimer: This application is not affiliated with SunGard® K-12 Education.